I remember that, when I originally heard about this film, I was quite put off, because I thought it was just a cruel movie. But then I took a chance on watching it a while back and enjoyed it… so I watched it when it was on television yesterday. I really like both Vince Vaughn and Ben Stiller as actors. I feel that they’re both good at playing comedy, but also doing some more serious scenes. I loved the contrast between the two gyms – that one was about making the money and people feel bad about themselves, while the other was about the people who were members. 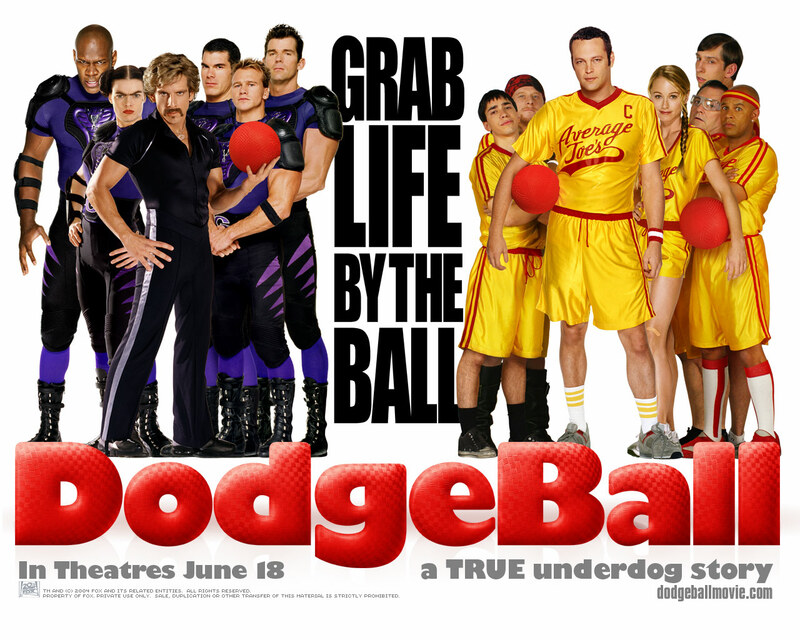 Making a film about dodgeball was a really cool idea. It’s a sport a lot of people play, so it’s one that’s fairly easy to understand. It was pretty cool that there was a whole national tournament about it. The training video was a bit weird, but still fun to watch. As well as the two actors I named earlier, I recognised quite a few of the other actors, too. I especially loved Steve the pirate. There were a few scenes in this film that I did wince at and it did follow a lot of the normal ‘rules’ of a comedy. But it was still a really enjoyable film to watch and one that I would watch again. There were some good intense scenes and I liked the overall feel of this. It might have been crude at times, but it was a really good comedy and I felt the actors played really well off each other.